A ready made Posse to use in the game Dracula's America. 2x Accursed in Monstrous Beast form. All miniatures are 28mm sized. 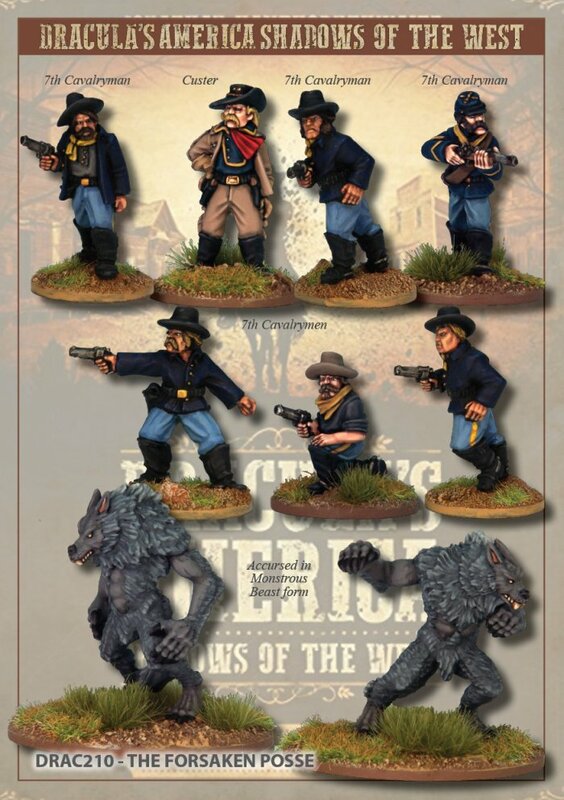 The 7th Cavalrymen are from Artizan Design's Wild West range.